Take SR 53 north of Fremont for 3 miles from the by-pass. Turn right (east) on TR 103. The cemetery is at the end of the road back in a field. The road looks like someone’s driveway and goes past their garage. There is no sign but the cemetery can be seen from the road. During very rainy weather the road may be flooded in the low lying area. It is maintained by the township. The stones have been read and the information placed at the Hayes Presidential Center in Fremont. 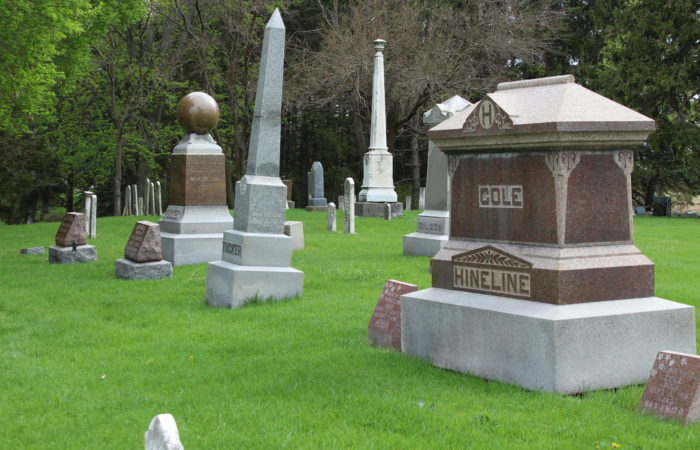 The original cemetery association records for Brier Hill were turned over to the Hayes Center. 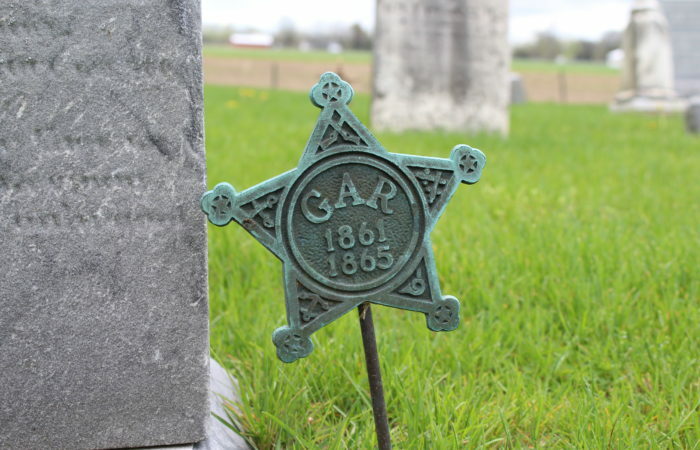 In 1875 The Brier Hill Cemetery Association of Rice township was formed. 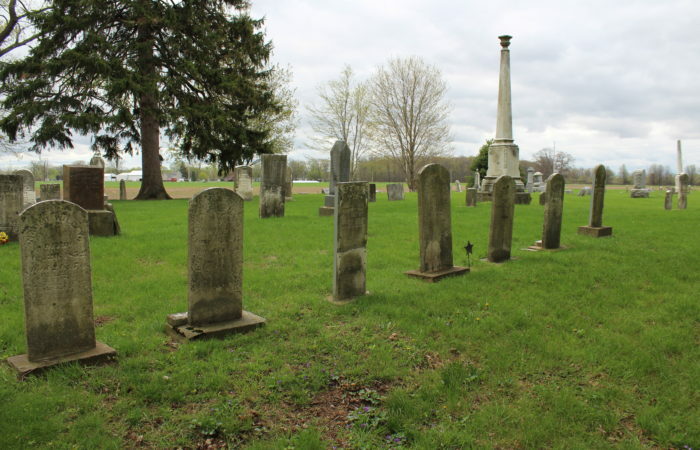 It purchased ground from Richard Willey next to (as the deed says) “the old burying ground known as the Willey Burying Ground.” The association kept burial records and maintained the cemetery until 1929 when the cemetery was turned over to the township. 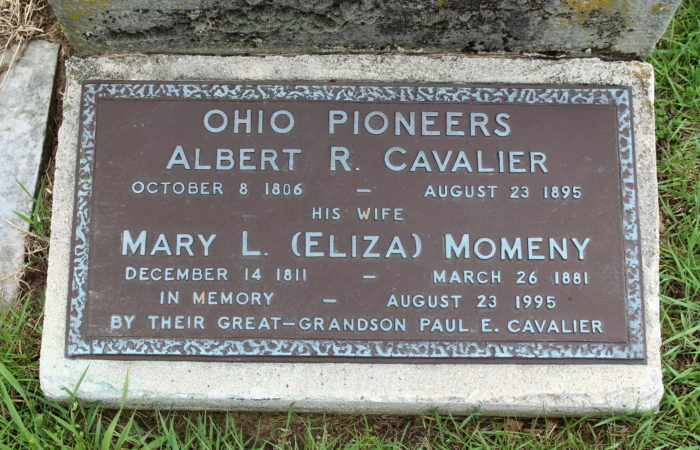 Early stones are for the following: Martha Cooley-1832, Pealeg Cooley and Fayett Hone-1838, Sarah Remsburg-1839, Isaac Cooley-1840, Eleaser Willey-1847, Catharine Alexander – 1859.